My mother always said, the older you get the faster times goes. Well Mom, you were right. I can’t believe how much time has passed since my last post. My sincerest apologies are in order for being remiss in sharing my travels and adventures since the summer. Lots of great stories and images to share. So, here goes. I spent a week in Yellowstone followed by a glorious month in Jackson Hole at the end of August till the end of September. 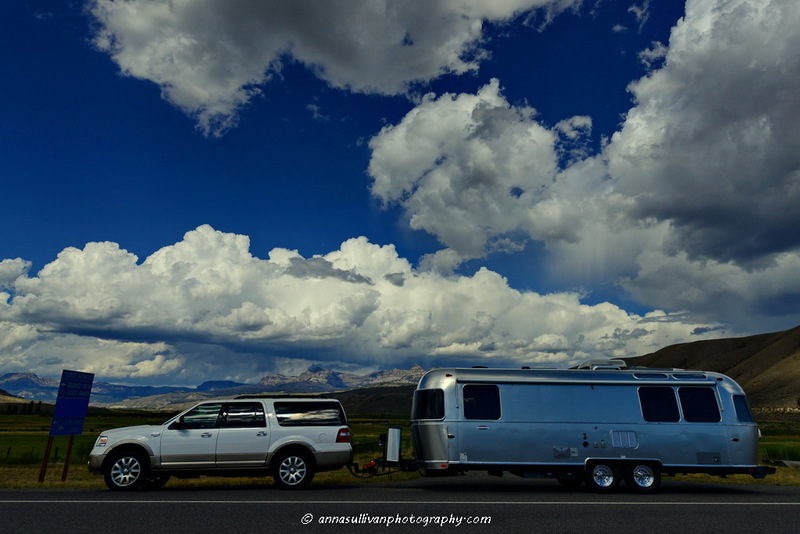 I”ll be posting about Jackson Hole soon, promise!! We decided to make the trip from Denver to Yellowstone in one day. 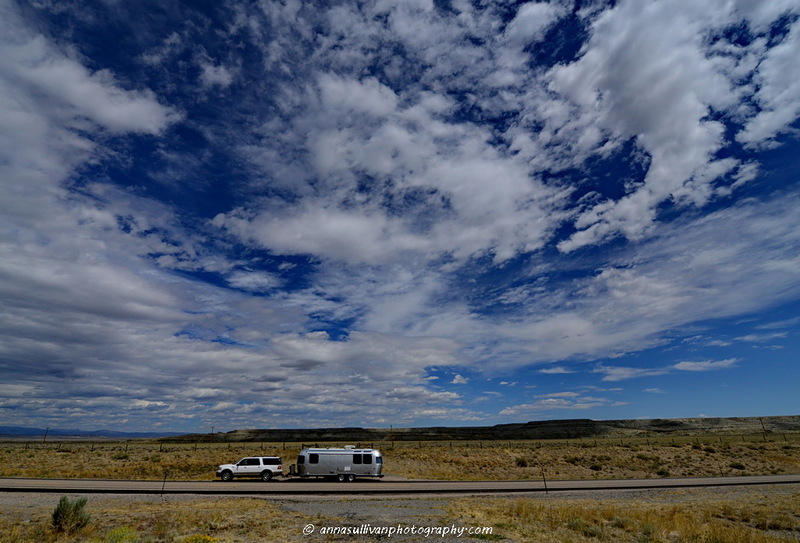 It’s a long haul especially while towing and traveling with a doggie companion. But, Otis is quite the traveler. No complaints from him. After all, we were “going” somewhere and that is all he cares about. 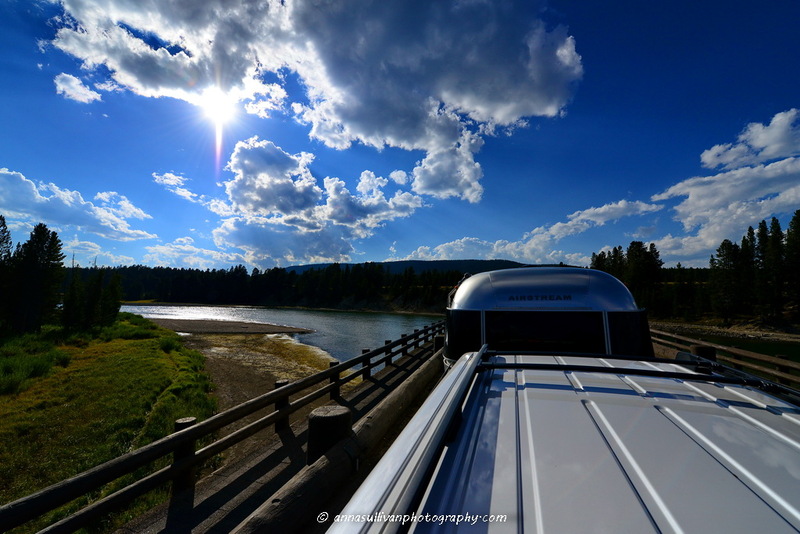 With construction in several locations in Wyoming which killed our time, it took us 12 hours to finally get to Fishing Bridge RV Park in Yellowstone. 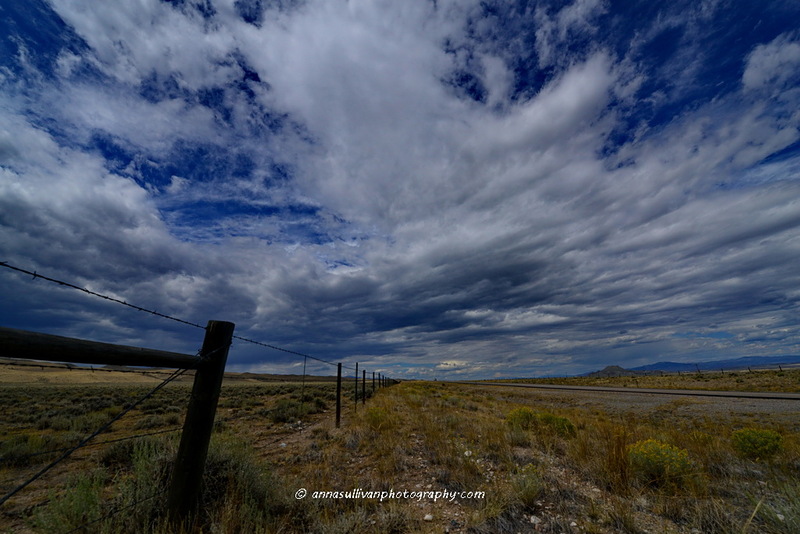 But, along the way somewhere between Rawlins and Dubois, Wyoming I pulled over to admire the sky. Of course, also had to drag the ‘ol camera out and snap just a few shots. 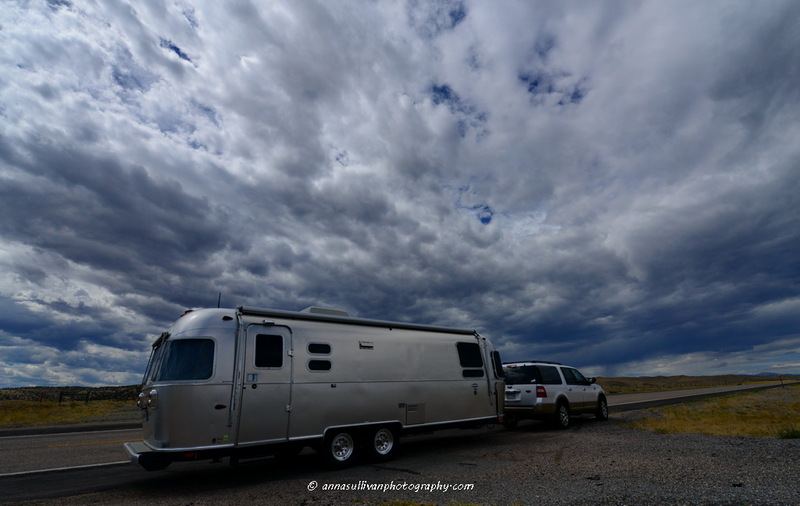 Outside of Dubois, Wyoming I grabbed these shots of my Big “B” (Beatrice) and the vast Wyoming landscape and sky. 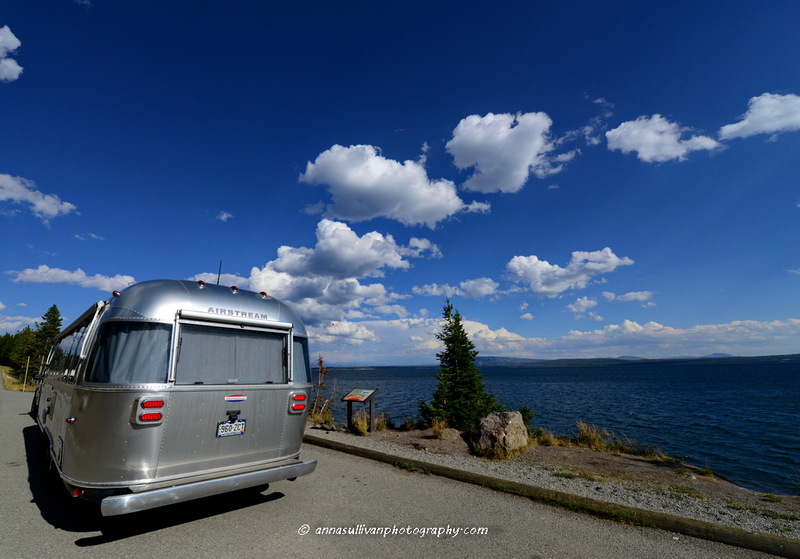 We drove through Grand Teton National Park via Moran Junction into Yellowstone National Park and stopped for some quick shots at the entrance and again at the Yellowstone Lake. 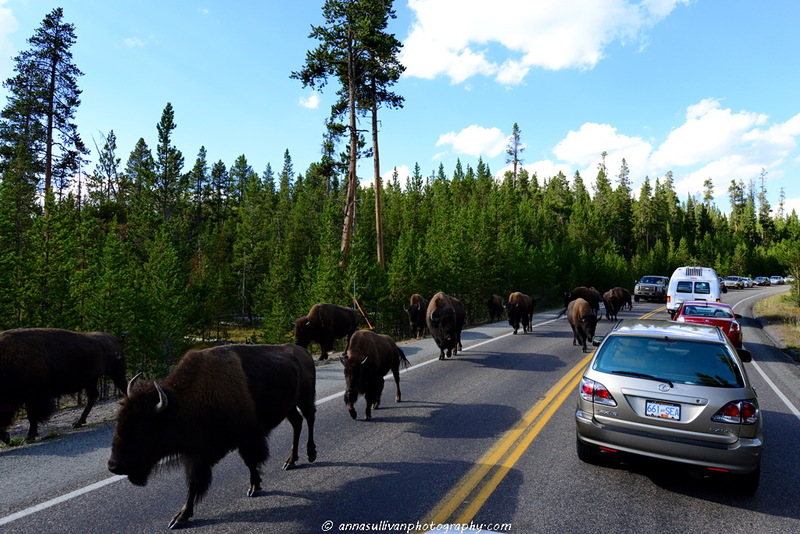 Yellowstone is widely considered to be the finest megafauna wildlife habitat in the lower 48’s. There are approximately 60 species of mammals in the park. 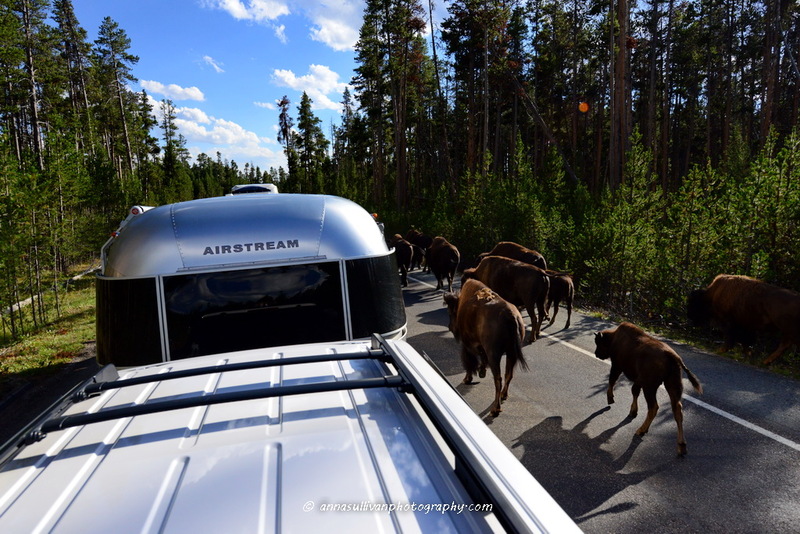 As we were crossing the actual Fishing Bridge I was ebullient to share the road with a herd of Bison. 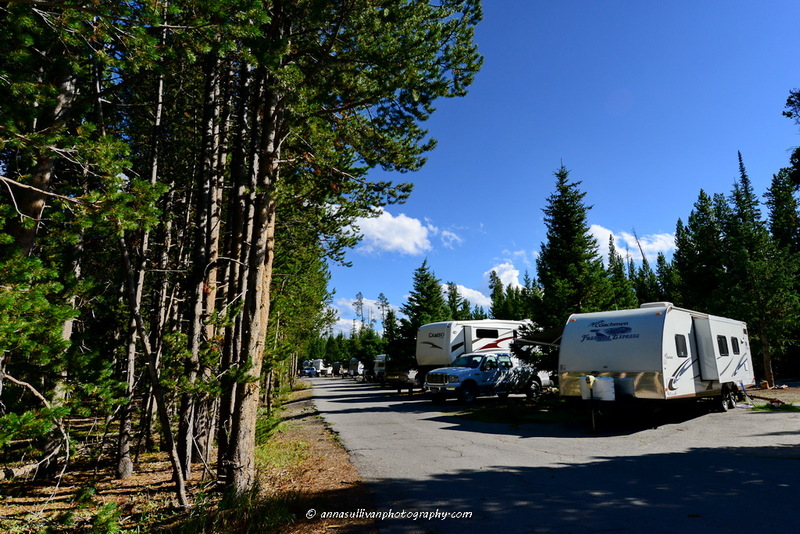 Fishing Bridge RV Park ~ Yellowstone National Park. 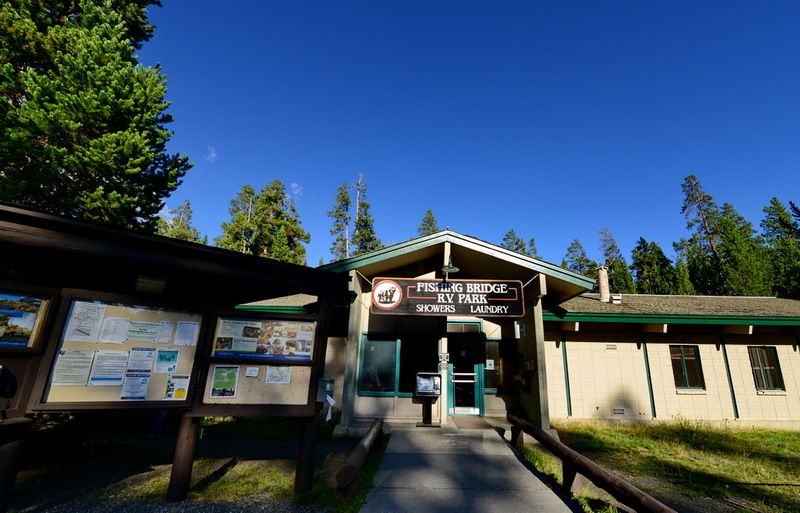 This was our second stay at Fishing Bridge and I would highly recommend it if you prefer full-hook ups, clean showers, laundry and other amenities. 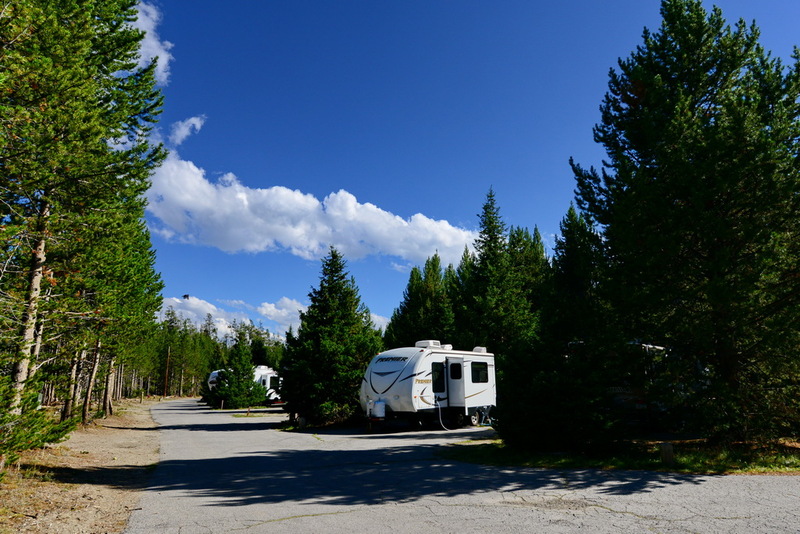 The sites are quite tight but, once you’re in, you’ll find yourself surrounded by luscious flora including lodgepole pines. 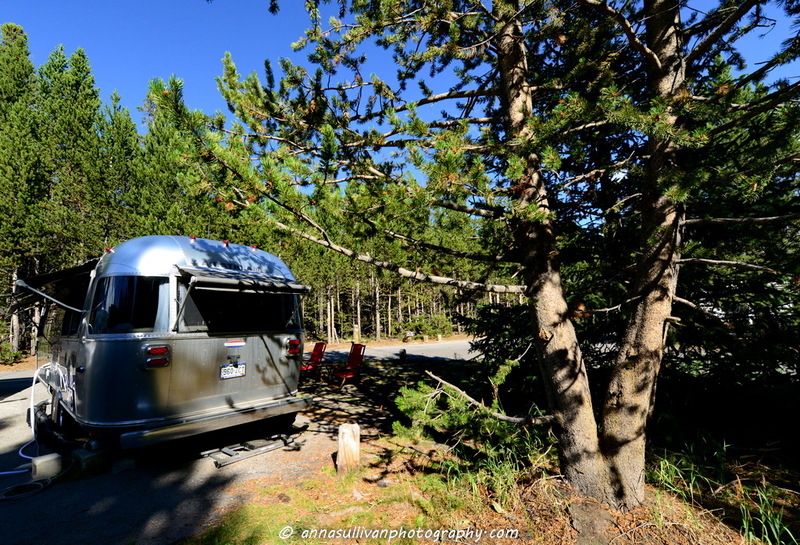 It’s über important to follow the guidelines of the campground due to Grizzly Bears in the area and in the campground. 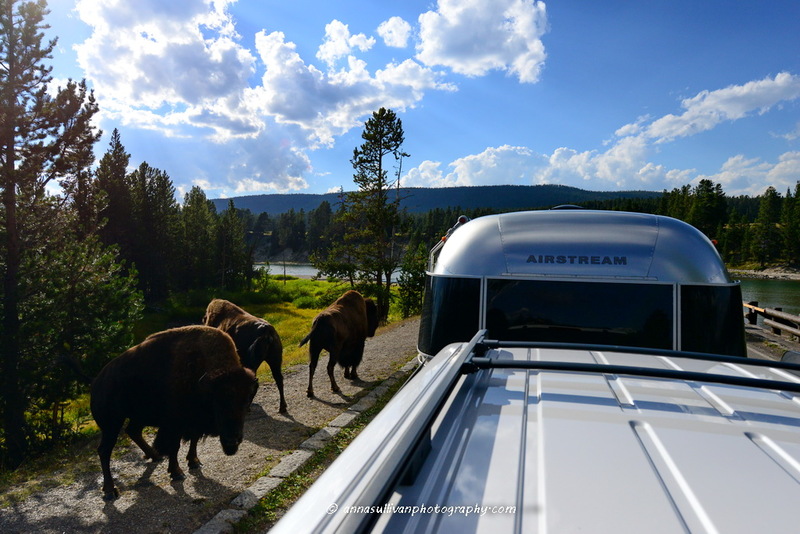 There were Grizz in Loop A during our visit and herds of Bison would stroll through the campground daily. I loved our site #D-138 as it was an end spot in the middle of the loop. 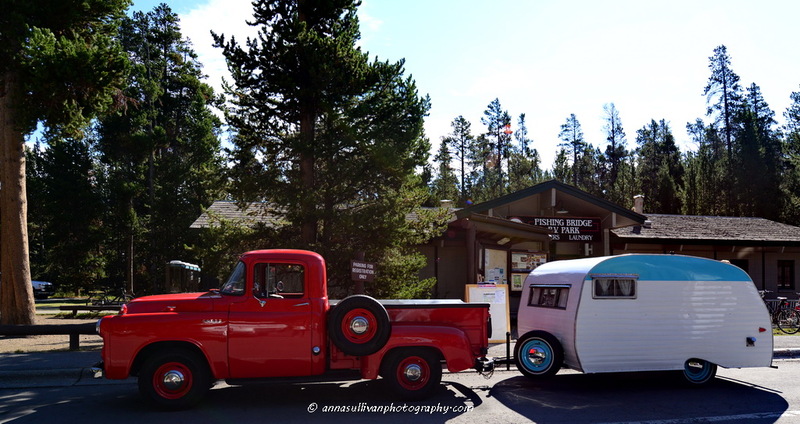 I was also very impressed that Yellowstone abides by strict recycling standards making it super easy for everyone to do their part and partake in recycling while camping. 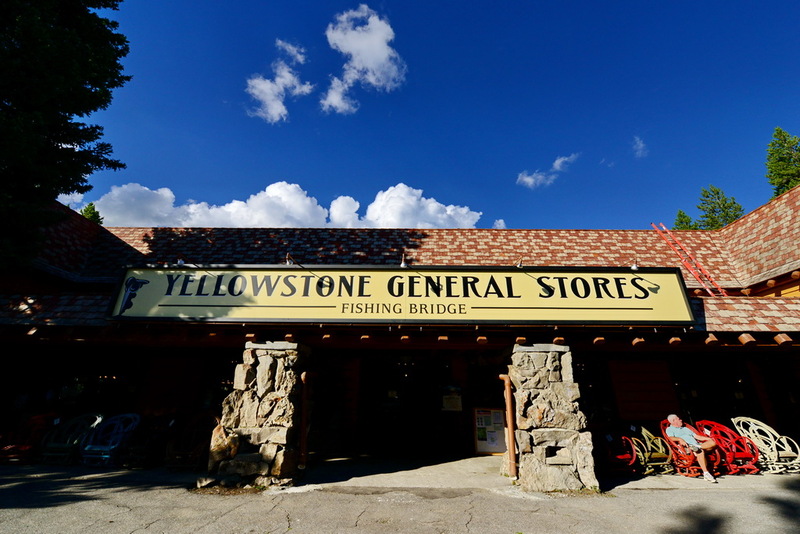 Fishing Bridge offers the convenience of a General Store which has a grocery store and a diner. 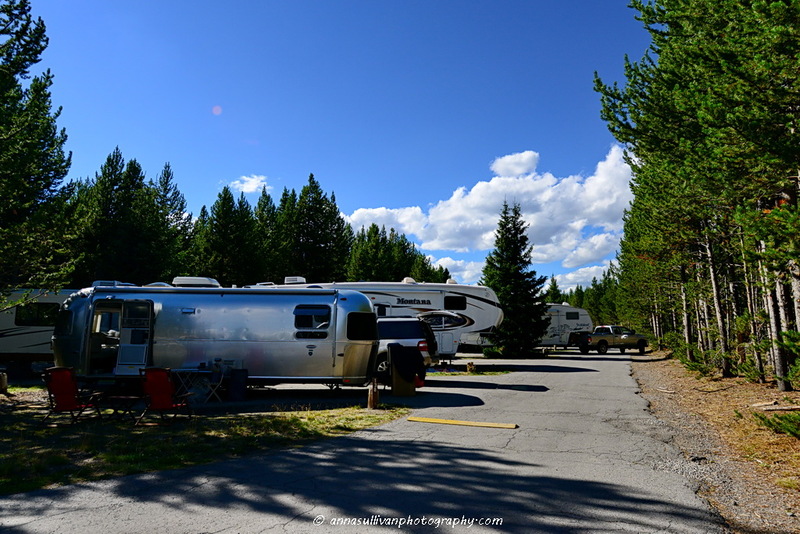 Auto repair, gas and propane are also provided all within walking distance from the campground. 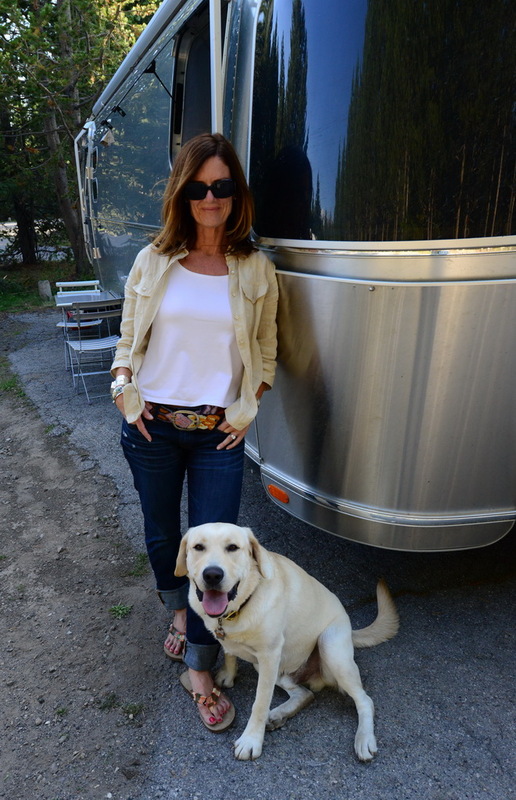 Yours truly, Otis and my Big “B” settling in after a long 12 hour journey for a week of exploring the park and some well deserved R&R. 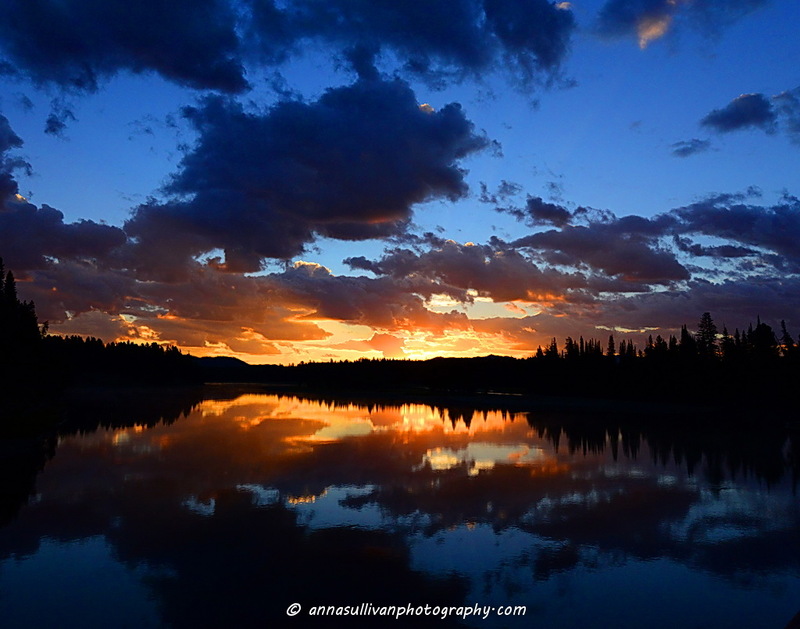 After all, there is no cell service, internet or television at Fishing Bridge. 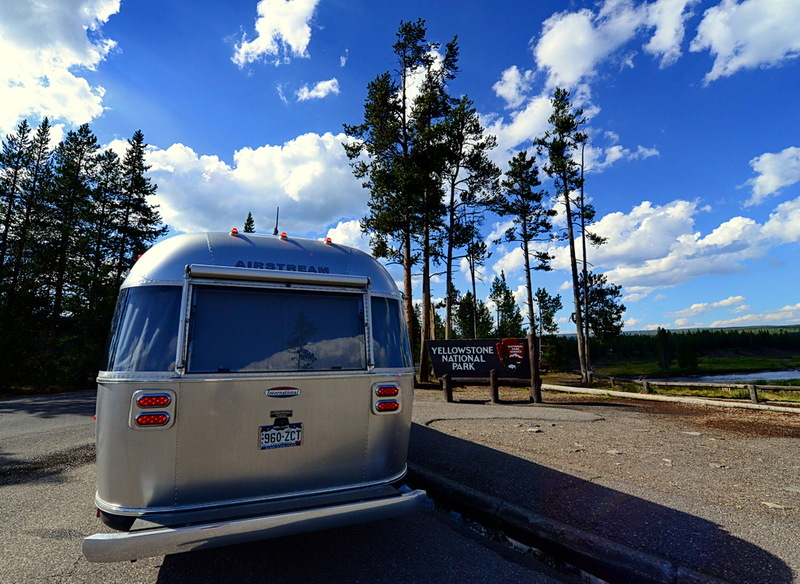 I got a bit of cell service near the Yellowstone Lake, Mammoth Hot Springs and Old Faithful. 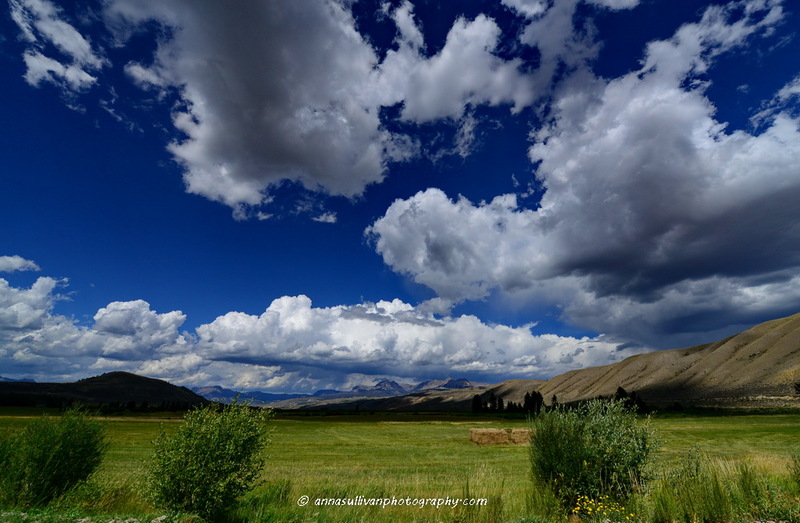 So, be prepared to let go of it all and just enjoy the beauty that the park has to offer. What a gift this and all National Parks are to us all.